It's exciting to start a new job. But sometimes a company isn't what it seems. There are strategies to evaluate work culture during your interviews, but in this article, we'll talk about what to do when you're already in a new job, and learn your manager isn't as great as they seemed. There's a lot of advice online about how to "Manage Your Manager" and on handling confrontation at work - those that exalt it, and those that recommend avoiding it at all costs. Each situation is unique, and so we'll give you three aspects of the situation to think about as you craft a strategy to stand up for yourself at work. In the heat of the moment, it's easy to advocate for yourself (though it might not be the most elegant time to do so). In contrast, when you're not sure if something is a "big deal", it can be daunting to think about talking to your boss. In the big picture, learn about ways you can learn to be more confident in your career overall. In the more immediate picture, let's talk strategy. What's important to remember is that if you feel uncomfortable, there's probably something wrong. If the actions leading to those feelings is the norm among your organization's work culture, then there's something wrong with that, too. Knowing your rights as an employee (later in this post) is important - because if you're afraid of being fired for providing negative feedback, know that it would be classified as wrongful termination. With that in mind, let's talk about some concrete strategies to stay strong before a meeting with your boss. Have a plan - draft your concerns and comments in an outline format, sleep on it, and re-visit. Having this document with you will help you stay focused during the meeting, and sleeping on those points means any particularly emotional notes from the heat of the moment will be weeded out the next day. Get on the calendar - schedule a meeting with your manager, requesting an opportunity to talk. You don't need to elaborate any more than that. It's better to have a private room to talk, and dedicated time for your conversation, than trying to catch your boss in the hallway after a meeting. Practice and relax- Practice your points out loud the night before. If you find yourself becoming upset, just keep practicing. Then, the day of, have time to relax before the meeting. Listen to music that calms you, meditate, or just take some deep breaths. In the last section, I mentioned preparing, staying calm, and strategies to avoid getting upset during the meeting. All of this comes to the point of staying professional. There are entire consulting companies that organizations hire to let go employees, because combining the emotional with the workplace is always challenging. While it's not necessarily right that becoming upset at work is often looked down upon in the US, but as we work to chip away at these biases in the workplace, in the here and now, we can take steps to take the emotion out of the situation and stay professional. Whether confronting your boss in a scheduled meeting (see above point) or another employee, make sure you take a professional approach. Plan your points and practice saying them professionally. Imagine how you will respond if your boss becomes angry. And be confident knowing that as long as you stay professional, it will be their embarrassment for reacting defensively and unprofessionally. Saying less is always better. State your practiced points, and then make yourself shut your mouth and sit back. Silence is not a bad thing, and if you can wait it out, your boss will likely respond first. When we keep talking about points in a way we haven't practiced, we may get emotional, ramble or get off-topic, and overall weaken our argument. There are certain scenarios at work, such as with discrimination and harassment, that should be taken to HR before confrontation. Think about it - HR professionals job duties include knowing the ins-and-outs of an organizations policies and both the employer and employee rights. Why wouldn't you go to the expert? They can provide a mediation service, or at least guidance on how to proceed next. If HR response is lackluster, know that understanding employment law is a good tool to have in your toolkit. If you feel HR isn't taking the appropriate steps to manage a negative situation, or you feel you were wrongfully terminated, finding legal help specialized in employment laws is the way to go. While you have a duty to produce quality work for your company, they have a responsibility to treat you well. Standing up for yourself when things don't feel right is an important way of promoting a positive workplace environment. 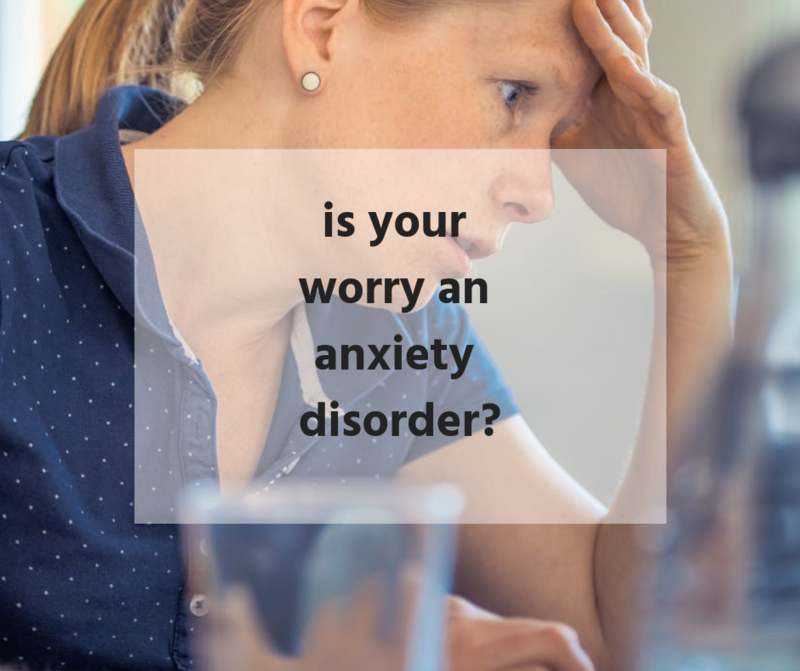 is your worry an anxiety disorder?